With you plan , can I come to H1 to make an order ? yes, daoconsetre. I am using H1 for entry price too or some time M30 after I make a plan on Daily chart or H4. Be careful on this plan because price is at the final stage of triangle pattern. So it may break up or go sideways in the range 1.2400 - 1.2200. Have a good day. 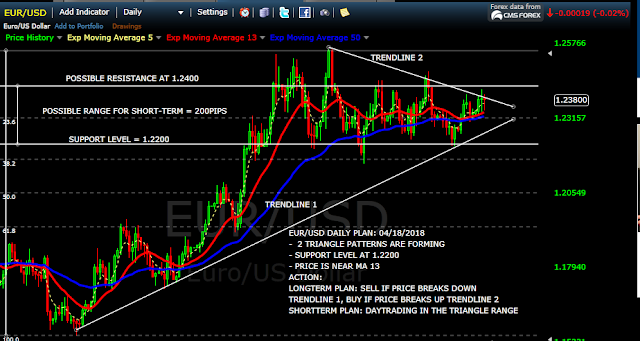 Hi dao, I have updated the new plan for Eur/usd daily, check it out.